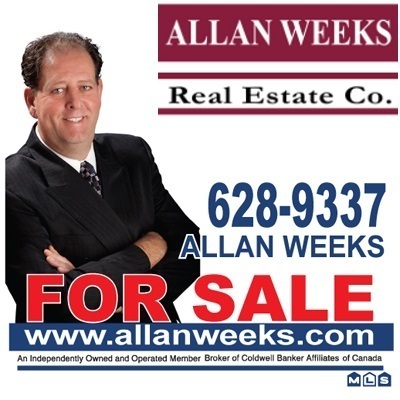 Our Company - Allan Weeks Real Estate Co. The specialized team approach philosophy mandated the Allan Weeks Group ensures that the needs of both buyers and sellers will be met. High professional standards, integrity, confidentiality, communication, knowledge of the industry and attention to providing a positive experience are the hallmarks of my real estate career. I am dedicated to the development of long-term relationships as Prince Edward Island’s premiere real estate company where our clients come first. “Clients for Life” is my philosophy. The Allan Weeks Real Estate Group has earned a strong reputation over the last number of years for responding to customer needs and for creating sales initiatives designed to meet those needs. We have compiled a long roster of satisfied customers and buyers during the last 22 years. I have an established, recognized Brand Name that has been built one transaction at a time. We are a full service Real Estate Company locally owned & operated serving all of Prince Edward Island. Our sales associates set new benchmark sales and are known for their real estate savvy. By staying on top of the trends and exposing properties locally, nationally and internationally, a higher demand in price points and properties are achieved. Promoting properties and associates, and attracting qualified buyers is at the heart of our company’s top priorities. Our commitment to marketing spans the depth and breadth of our firm. Allan Weeks Real Estate Co successfully combines customer – oriented, “Premiere Service” with a new level of information technology. Our website delivers information instantaneously. We have networked our offices and provide our associates with a central server which our associates can access from anywhere in the world. This ever-changing technology is developed for one reason – to better serve you. Choose Allan Weeks Real Estate Company to provide you with exceptional service. The Allan Weeks Group operates and believes in value such as integrity, communication, honesty, fairness, respect for ourselves and others, and ethical behavior. It is our personal responsibility to ensure that all those who cross our path, both personally and professionally, are treated in the same manner and with the same respect as we ourselves would want to be treated. The Allan Weeks Group respects your right to privacy and will not use or disclose any personal information regarding you without your consent. Allan Weeks Real Estate Co will never sell or share your personal information with anyone for any reason without your express permission. Copyright 2013 by Allan Weeks Real Estate Co. All rights reserved. No part of this website may be reproduced without the prior written permission of the copyright holder.